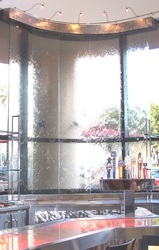 This concave Clear Glass water feature was custom designed to serve as a divider between a bar and dining area. 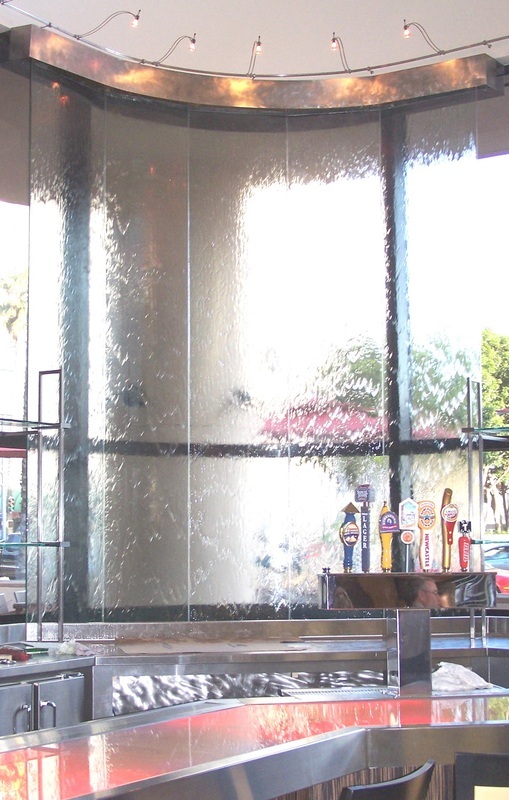 Made of stainless steel and glass, and featuring a soft swirl finish, this water feature serves as an exceptional, opaque divider. The contrast of natural light upon the watery glass conjures up a distorted reality of sunshine and rain that helps to create a truly unique atmosphere. Impress your patrons with the calming atmosphere that this water feature fashions.